Why are there no national rivalries at the Overwatch World Cup? Over the past two years, esports organisers have cottoned on to the benefit of igniting rivalries between players, teams, and even nations. This has been a crucial part of traditional sports fandom for decades, with cheers, boos, and mockery spread across every public platform going. It was only a matter of time before esports followed suit. And they’re going in hard. In League of Legends, you have Rift Rivals, a series of showmatch tournaments for rival regions to prove which of them is better. It’s never been the height of competition, but is, to say the least, popular. North America versus Europe has always been the popular rivalry to reference in the West, but it’s by no means the only one. As pretty much every major League of Legends tournament has been dominated by South Korea, a Rest of the World vs. South Korea rivalry has flourished. Then there’s the design of the Overwatch League. It had professional teams create entirely new brands based on some of the world’s biggest cities – New York, London, Shanghai – and so is entirely driven towards creating rivalries between nations. The Overwatch World Cup – which recently finished up its group stages – has followed suit. Across four group stages held around the world, from North America to Thailand, national teams fought for spots at the finals at BlizzCon later this year. There’s no huge cash prize like there is for Dota 2’s biggest tournament, The International. Nor do the winners experience the immortalisation that some champions do in other esports. Instead, it’s driven by pride, competition, and fun. But, crucially, not national pride. Not for the players, anyway. The arena that housed the final of the group stages in Paris was packed. The Team France jerseys that were on sale at the store towards the front of the venue had sold out quickly. 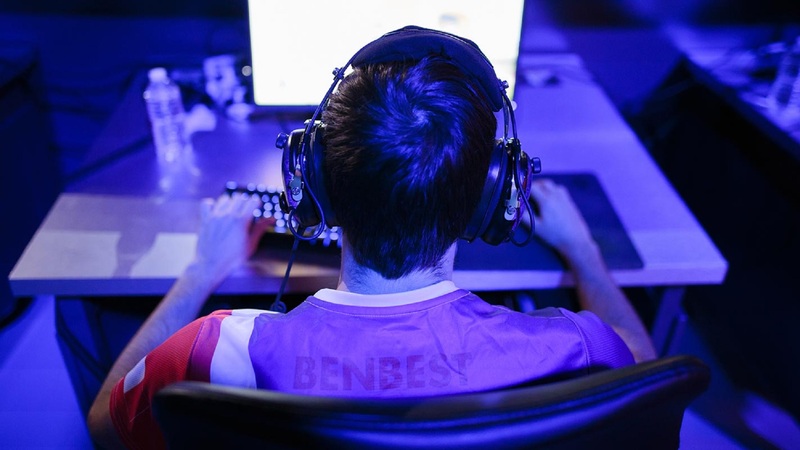 The group stage ended in a battle between Team UK and Team France for first seed. The outcome of the match is huge, as it would ensure the winner wouldn’t be up against reigning champions South Korea. This is perhaps the best ending you could hope for when telling the story of this group stage. Two nations, who are often close in other affairs but at odds in tournaments and competitions, facing off. Throughout the event, I asked players and teams if they have any national rivalries. The answer was almost unanimous: no. 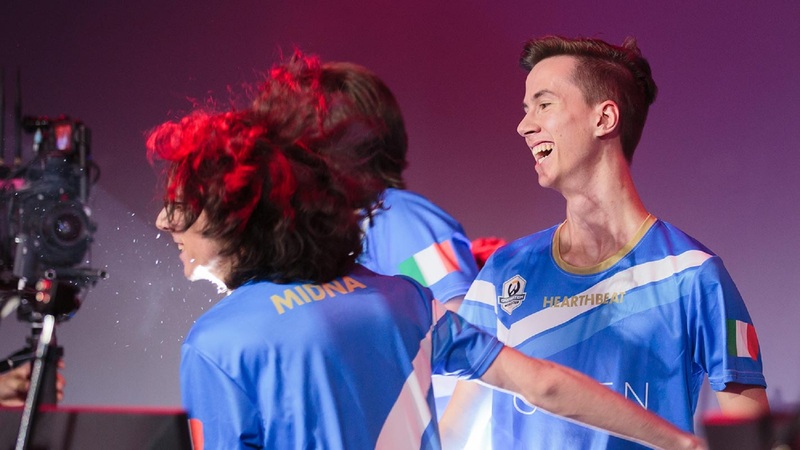 Some players had specific rivalries with others, such as Team Italy’s Midna, who wanted to challenge France’s BenBest out of professional respect for his skill. And the British Hurricane (London Spitfire’s Academy team) players were eager for a good tussle against their teammates from other national teams. But national rivalries just weren’t on anyone’s mind. It’s a stark contrast to whenever you mention Germany to an England fan during the FIFA World Cup. One statement was echoed by many players: they haven’t had time to build up rivalries. Despite the historical significance of certain matchups, and national relationships in traditional sports, they’ve not been carried over to the Overwatch World Cup. 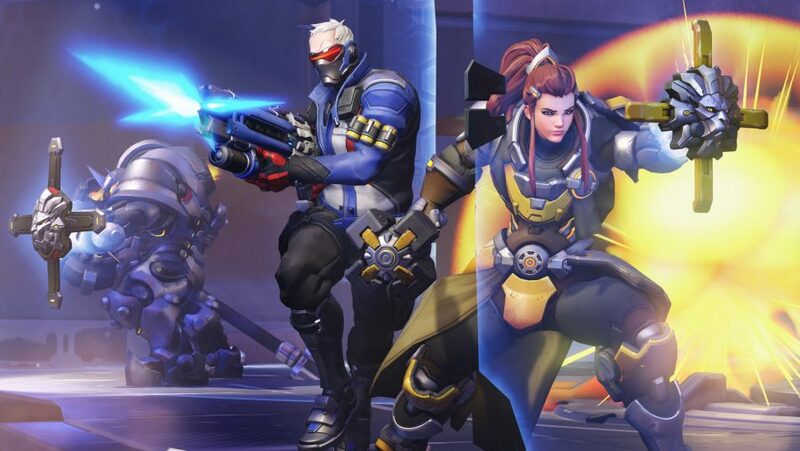 Now in its third year, the Overwatch World Cup has many teams that haven’t even played against each other before, and roster changes each year mean there’s little room for personal frictions to ignite into fierce competitive fire. Joining France and the United Kingdom in the top eight of the Overwatch World Cup 2018 are: China, Australia, USA, Canada, South Korea, and Finland. South Korea won both the 2016 and 2017 World Cups so that's the team to beat - we'll find out what happens at the BlizzCon playoffs across November 2nd to 3rd. And yet, being in the crowd for the final game at the group stage, there’s no question that national pride was at the front of the crowd’s mind. They sung the French national anthem, screamed “soon” with every kill the fan favourite player got, and went silent bar some polite clapping whenever the UK team looked like they’d bring it back from the brink. Even the hosts and casters at the venue, who only got a couple of minutes in the limelight on the official stream, were chanting along. The desk host during the final match was as animated as the crowd. To beat the only team threatening their throne, to demolish the competition in a clean sweep – this is what competition is made for! Perhaps national pride will kick in for players once that first place is a little more within reaching distance. When such a title is within grasp it’s always more desirable and that can ignite rivalries. 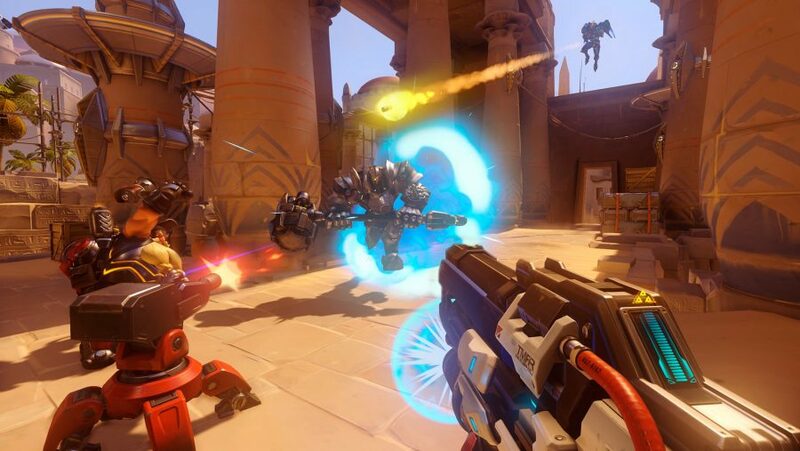 But we haven’t seen that yet – when teams toy with their opponents instead of cementing a victory, when rivalries are little more than “banter,” as Germany’s Nesh described it, it undermines the national competition of the Overwatch World Cup. National rivalries make up the most passionate fan experiences in sport. But the Overwatch World Cup doesn’t have the history nor the apparatus for such conflict to arise. The finals always take place at BlizzCon in America. The players are there to represent themselves to scouts rather than earn national pride. Every year feels like a futile attempt to dethrone South Korea. And most fans have to watch over the internet where geographical boundaries have mostly been removed. It’s a struggle to imagine national rivalries growing at all, though lasting long enough to crystallise as they have in other sports.